Here is a list of all the postings Chris Barlow has made in our forums. Click on a thread name to jump to the thread. Maiden flight of a new to me YT Falke SF-25 today. 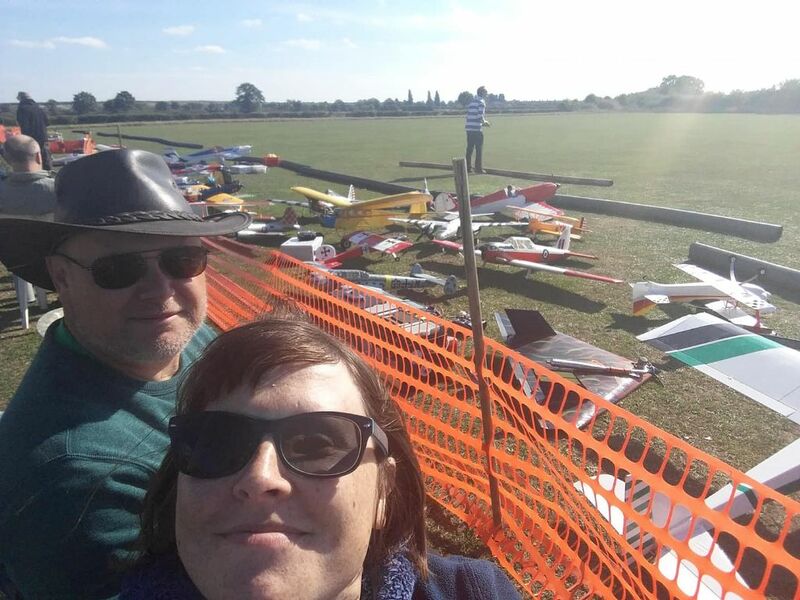 Bought from a swapmeet a few weeks ago but after a holiday and the first days of Easter spent reorganising the shed this was my first opportunity to go flying. Balance still needs a bit of tweaking but other than that was reasonably behaved in the gusty conditions. Needs a pilot too! Looking forward to it, followed by a week away with the family at Cwmrhwyddfor Farm, Mach Loop! Very slick on my mobile phone too, great job thanks guys. Is there a cafe or similar there or is it best to take lunch? Will be there with Noah hopefully. We were last there about 4 months ago when we took his Grandad for a treat. Always a good day out. We've used Conwy Holiday Park, good for family stuff and if you want to stay a bit longer. Also Dinarth Hall if you just need the basics and a field to camp in, turn up and pay on arrival. They also have electric hook up pitches if you pre book. I tend to use Dinarth Hall if I'm on my own either in a tent or with a caravan for just one night, and Conwy if the family come with me and we stay for the week before or after. Those MiG shots could have come straight from the movie Phil. I'll be there. Great way to end and start the year. Another good weekend at DVMFC, thanks guys. Nice and calm in the mornings but quite windy & turbulent in the afternoons. Saturday evening after 5pm calmed down again to almost no wind. 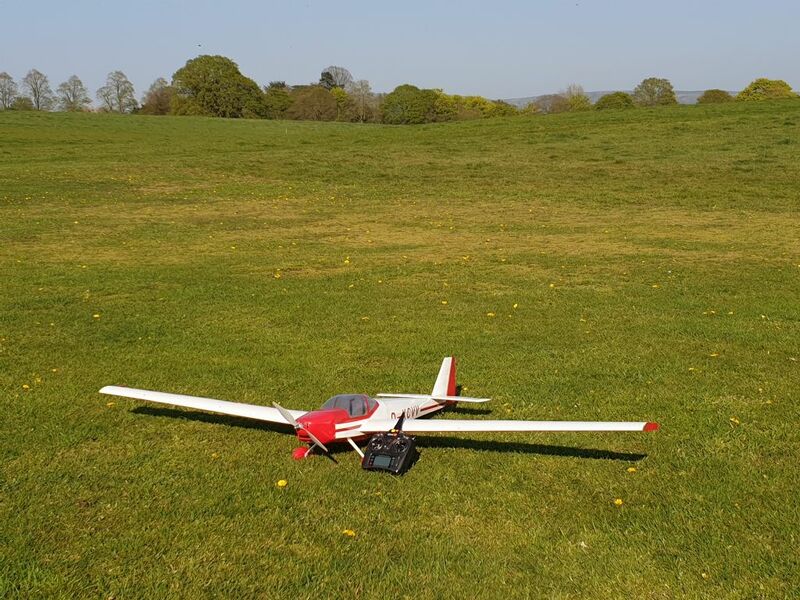 Still managed to fly a good variety from an L-4 Grasshopper & Puppeteer to Wot4 XL and Wots Wot Foam-e, which handles almost any wind thrown at it! Did crash my Atom Special though when it got turned down wind with a decaying head speed ending in a left roll and nose dive to the ground. Fortunately the only damage was a bent motor bell! Vicky even managed to have a go with the Bixler trainer buddied to Mark with Gary in the other ear telling her which left to use! All despite her trying to convince them repeatedly that she was going to crash it! Luckily Mark kept saving it so I didn't have to buy a broken Bixler! Simons A350 is just amazing and looked so realistic in flight. Even with the turbulence from the trees he managed to pull off a perfect landing although the approach would have been terrifying for the passengers! Look forward to seeing it again at Ashbourne in a few weeks hopefully. 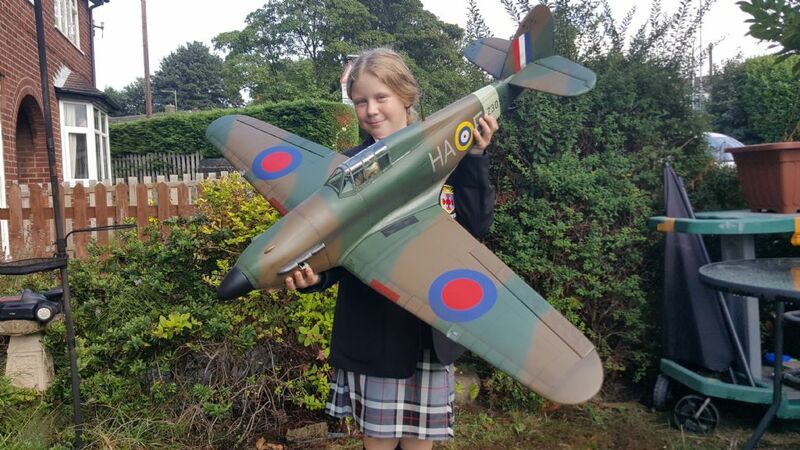 Will be building another set of wings but built up balsa as the foam wings have come out heavier than I like. Still keeping the for good wind days but really wanted a U-2 for light winds. 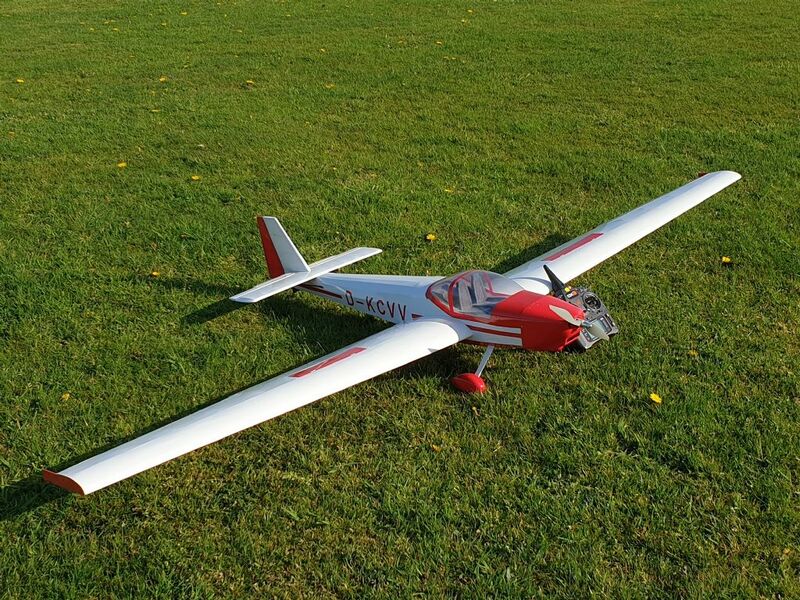 Another small problem I have run into is a large enough flat surface to set up the wings to glue in the wing tubes in the foam cores, My building shed is only 10' X 10' and full of models and benches/shelves etc. Will probably have to move the dining table and set it up over the floor. Vicky will not like that and the kids will probably walk on them, although they seem strong enough to take that! Will be ready for the first PSSA meet in 2019 though Andy. Yep, fuzzy photos on several pages including the photo of my Hurricane in the PSSA writeup unfortunately. Articles look very interesting though and definitely tempted with the Sabre and/or MiG for a small PSS model like Andy. Pilot was a Capt Myers call sign "Quag". Had to laugh at that. What span/scale is the Mike Pastro A-10? Mine is roughly 1/10 and I still have the plug to form the canopy if you're local to Woodford/Cheshire. Don't forget night flying and a Chinese takeaway if you want to stay a bit later BEB. 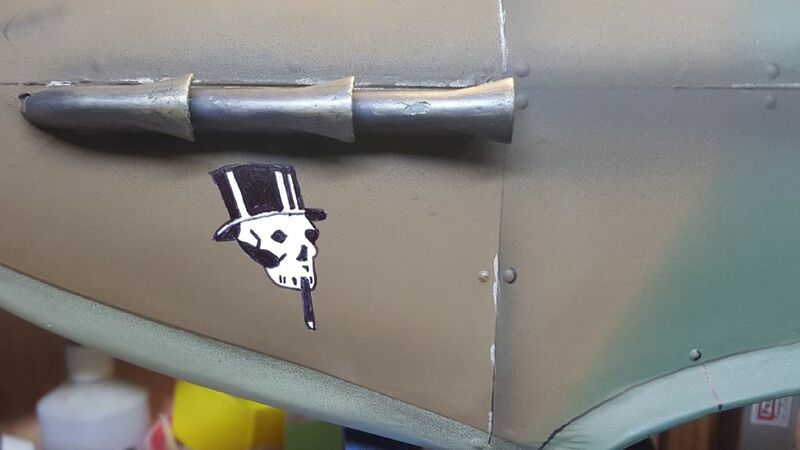 If you use vinyl on a roll you can flip most decals vertical and print the full roll legnth. So letters up to 200mm high and 3m long. I "cheated" a bit with the AUW! As you know the tail surfaces were built up rather than 1/4 sheet but also after realising the nose weight issue I also sanded down the rear top sheeting from full thickness behind the cockpit down to around 1/8 thick where it meets the tail. This not only reduced the tail weight a little more but also brought the top of the tail plane closer to the top of the fuselage looking a bit more scale. I also extended the battery tube forwards into the spinner and didn't glass cover the airframe which has saved some weight from the tail. All the above has resulted in needing less nose weight to balance the model leading to a lighter AUW to fly with. Finishing touches to the Hurri over the last few days. Shading, weathering and exhaust muck added along with the nose art which took an evening on its own! 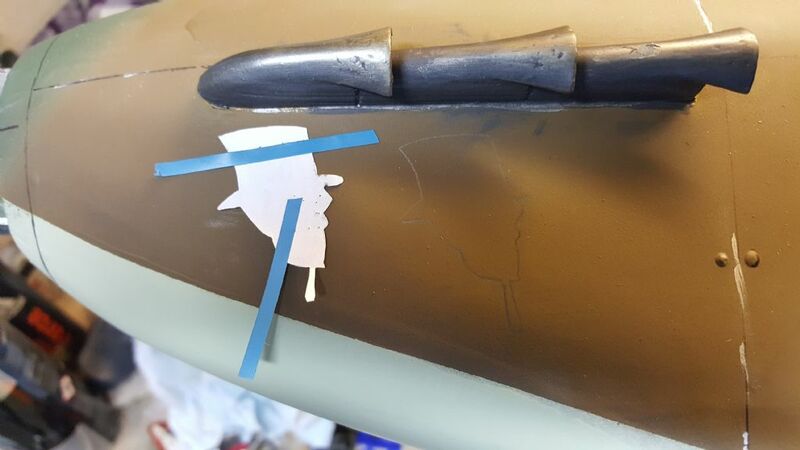 Started by scaling a photo to get the nose art to the right size then cut it out to make a template to draw around, reversed for the opposite side. First one I painted the black first the realised it would be easier to paint the whole outline in white then paint the black over it! 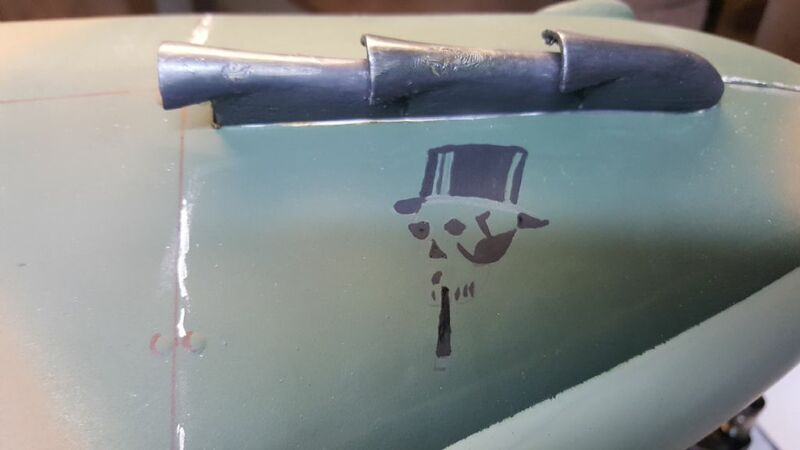 Close enough to the nose art currently on Z3055 in Malta. Finally a couple of coats of clear satin varnish to seal the decals and paintwork and it's ready for the last build photo. AUW at final balancing with the spinner glued on is 3lb 8oz. The spinner almost exactly matches the weight of the laquer on the tail! Looking forward to introducing it to it's fellow builds this weekend. Finally done with 2 days to spare. 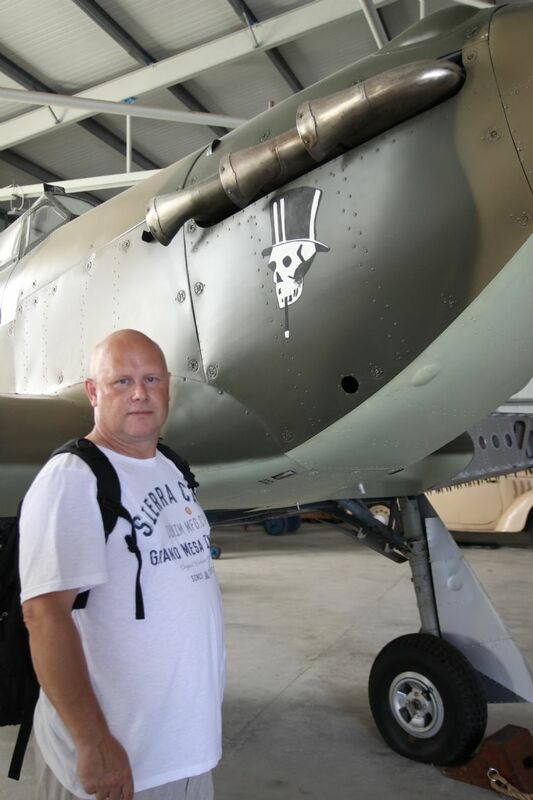 Based on Z3055 restored at the Malta Aviation Museum after being recovered just off the coast in the Med. Originally flown and named "Death Warmed Up" by P/O Bill Hollis Hallet of 261 Sq based in Ta' Qali, Malta who was killed when the hotel in Rabat that many pilots were billeted in was bombed. The aircraft was responsible for downing several Macchi C.200 and other Italian aircraft before being lost after a suspected engine failure and ditched in the sea by Sgt Thomas Hackston. AUW is 3lb 8oz after final balancing. Covered in oracover and solartex, etch primed and painted in Humbrol enamels.Pilot, radiator housing, oil cooler scoop and tail wheel printed on my Anet A8 printer, Vinyl roundels, sqn markings and serial cut from coloured vinyl on my Silhouette Portrait cutter and detailed decals printed on clear waterslide decal paper. 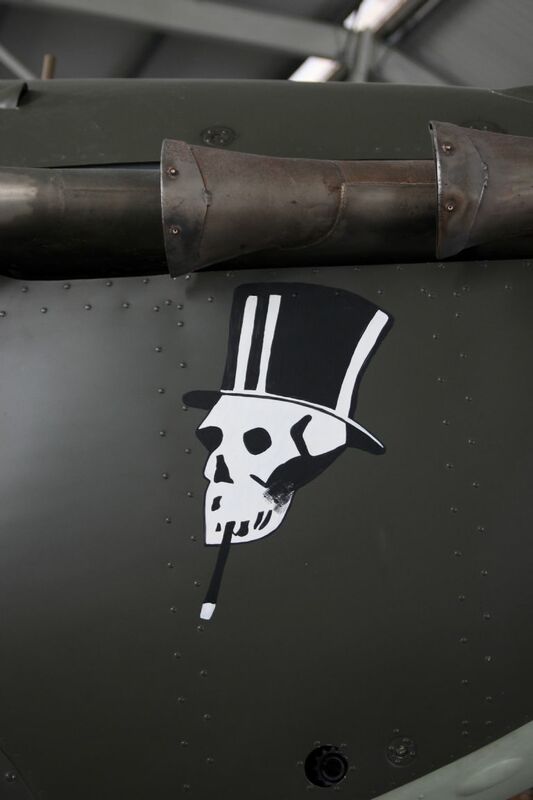 Nose art hand painted with black and white humbrol enamels. 2 coats clear satin laquer still hardening! I was just about to rush off to your build blog to see where and how you had managed to save 1lb! I feel a little disappointed now. Safe journey Dirk, see you at the weekend. I still owe you for the Rafale too. Don't let me forget.